Manage customers and build personalized experiences. We know the value of good relationships. At Springboard Retail, we built our CRM and POS software with easy-to-use customer relationship management tools that help you delight your customers every day. 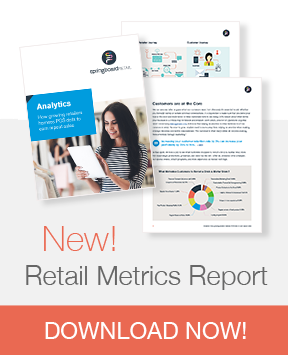 Collect the data that is relevant to your retail business. Our POS CRM SmartFields give you flexibility. Go mobile. Check a customer's dashboard, see their history, and make smart recommendations. Keep your customers coming back with gift cards, built in promotions, and retail customer loyalty programs. Providing customers with highly personalized experiences continues to be a key retail trend. 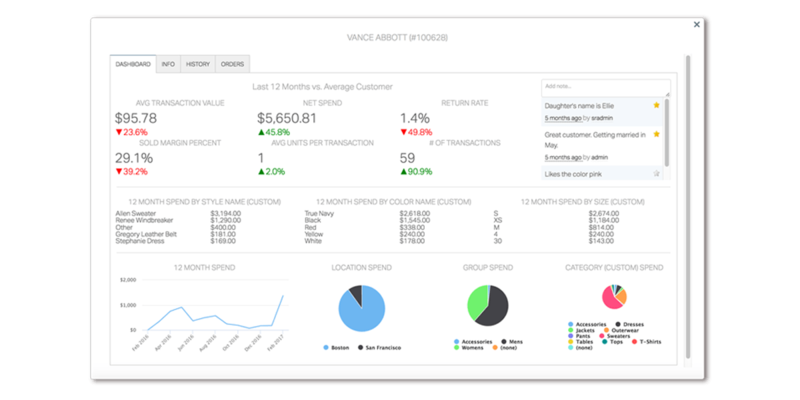 We give you the means to get to know your customers, understand their habits, needs, and preferences without costly retail CRM software. Our custom fields allow you to get as granular as you'd like and create custom CRM views for your customer dashboard. See your customer's activity across all channels; use this data to segment and market strategically. And find out how retail POS and CRM software can improve customer experience, every day. Springboard Retail's POS CRM software helps you get personal, because - after all - today's customer expects sales and marketing to be tailored to them. Collect the data you need at the customer level and build the custom reports that give you the insight to know your customers deeply. See a complete list of our POS and retail management features.